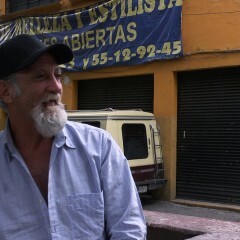 At the heart of Mexico City, a group of homeless people live outside the famous Teatro Blanquita – they call themselves the Blanquita gang. A journey from the civilized chaos into the deep rivers of the Amazon jungle, to a small community called Esperanza, where life is still in harmony with nature, and a father and his son are waiting for the fish to bite. The Sarayaku Indigenous community is determined to defend their basic rights. An oil company occupied their ancestral land without their consent. Now they have a once-in-a-lifetime opportunity to present their case to an international court. 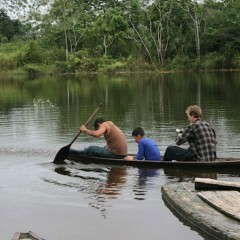 Their journey will take them from the Amazon to Costa Rica.